Heather’s soul-infused service is deeply rooted in the transformative power of love, and a reverence for the profound medicine of beauty. Heather is a practitioner of the healing arts, a certified massage therapist and a Pachakuti Mesa Tradition teacher and ceremonialist. After graduating from the University of California at Santa Barbara in 1991 with a bachelor’s degree in biological sciences, Heather spent the next two decades exploring and studying natural therapies, healing tools and ritual arts, including herbology, re-evaluation counseling, hydrotherapy, aromatherpy, chakra energy work and astrology. ​In 2006, Heather became a licensed massage therapist and sustained a vibrant practice for nine years. In 2011, she was introduced to the Pachakuti Mesa Tradition of Cross-Cultural Shamanism and in 2016, became a sanctioned teacher. 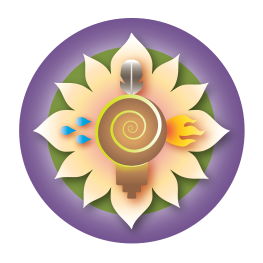 Led by her heart and the companionship of her guides--both seen and unseen--Heather combines the knowledge and experience she has gained through her personal apprenticeships, studies and initiations to offer authentic and transformative intensives and ceremonies. By facilitating earth-honoring ceremonies, workshops and healing rituals, Heather hopes to contribute to the restoration of balance and wholeness in others and on this precious planet. Travel Despachos for Easy Offerings!